Ibarra is a brand of Mexican table chocolate that is one of the most well know, and most widely available brands of Mexican chocolate. There are some other brands out there, but this is the one you are most likely to spot (and other brands typically use the same colors on their packaging). Mexican chocolate is unique in flavor and texture and Ibarra is a great example. The chocolateÂ is sold in thick, octaganal tablets and is made with sugar, cacao nibs, lecithin and cinnamon flavoring, which gives it a little spice. The most unusual thing bout this chocolate is that it has a gritty texture, thanks to a very generous amount of coarse, undissolved sugar in the chocolate. 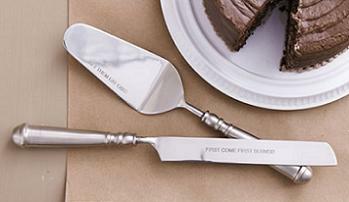 The chocolate, unlike regular chocolate bars, is not meant to be eaten in small pieces. Instead, it is meant to be used to make spicy Mexican hot chocolate by dissolving it into hot milk or water. 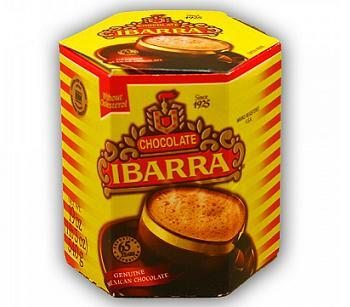 Ibarra has dramatically increased in popularity and availability over the past few years and is now available in most large grocery stores, where it can be found with other hot chocolates. 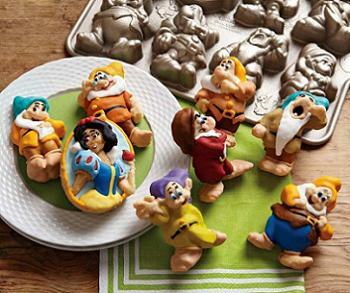 It is also available at Mexican and specialty stores. In addition to making a tasty hot chocolate, the chocolate can also be chopped and incorporated into all kinds of baked goods – from cookies to cakes – to give them a spicy Mexican chocolate flavor.